Built-up roof membranes, referred to by the acronym BUR, have been in use in the U.S. for more than 100 years. Built-up roof systems are commonly referred to as “tar and gravel” roofs. BUR systems generally are composed of alternating layers of bitumen and reinforcing fabrics that create a finished membrane. 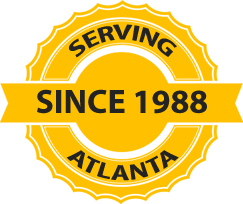 Since 1988 AtlantaRoofing.com has successfully satisfied the commercial roof repair and commercial roof replacement needs of the metro Atlanta area. ​​​Thank you for considering AtlantaRoofing.Com. To schedule your FREE roof inspection give us a call at 770-381-2144.